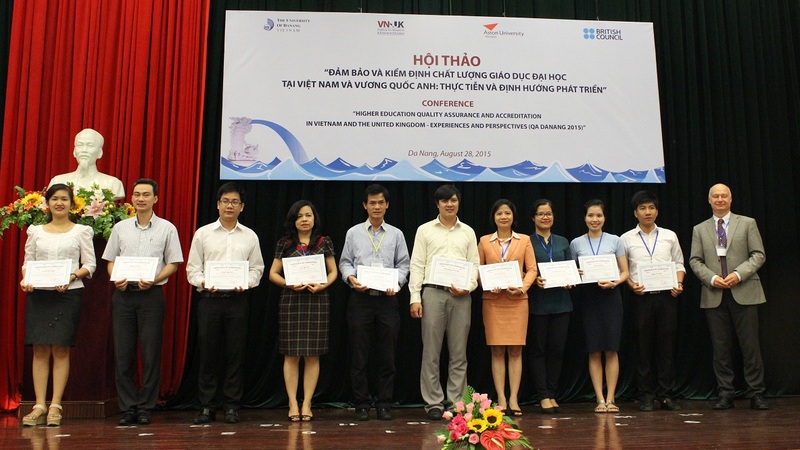 Seminar "Accreditation of higher education in Vietnam and the United Kingdom: Practice and development orientation"
In the framework of the project "Building a UK-ASEAN research center at VN-UK Institute for Research and executive education" as a partnership with Aston University (UK), dated August 28, 2015, UD has organized the seminar on "Accreditation of higher education in Vietnam and the United Kingdom: practice and development orientation" with the participation of more than 80 staff working in educational quality assurance divisions of the University of Danang and institutes in the central region. 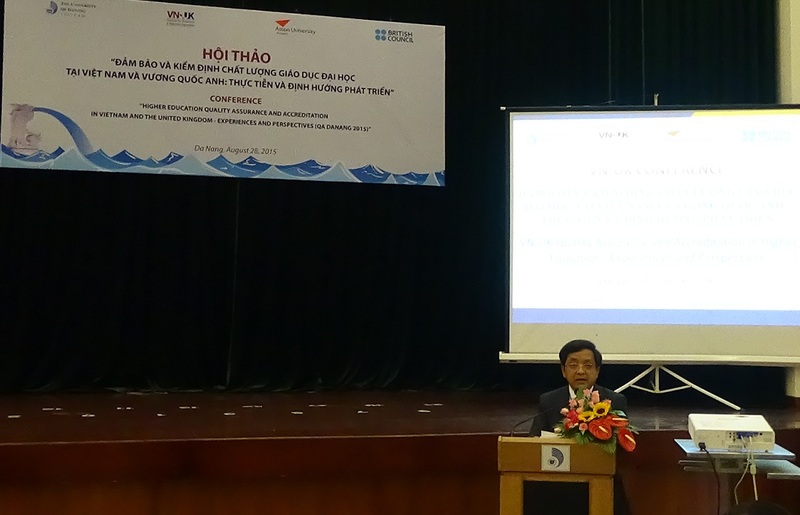 In the opening remark, Prof. Dr. Tran Van Nam – President of UD stressed the importance of Accreditation in higher education and the successful implementation of this activity will promote quality teaching, research and bring prestige and success to UD. 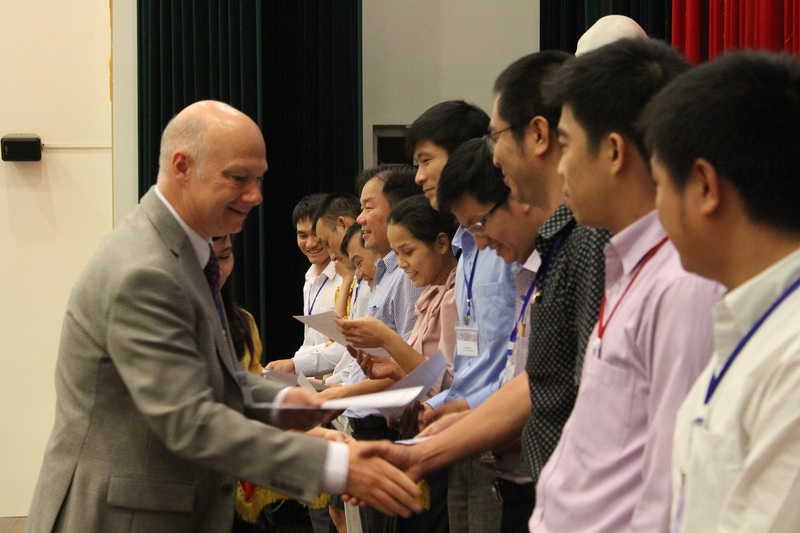 - Accreditation in Higher Education: Reality and experience of UD. 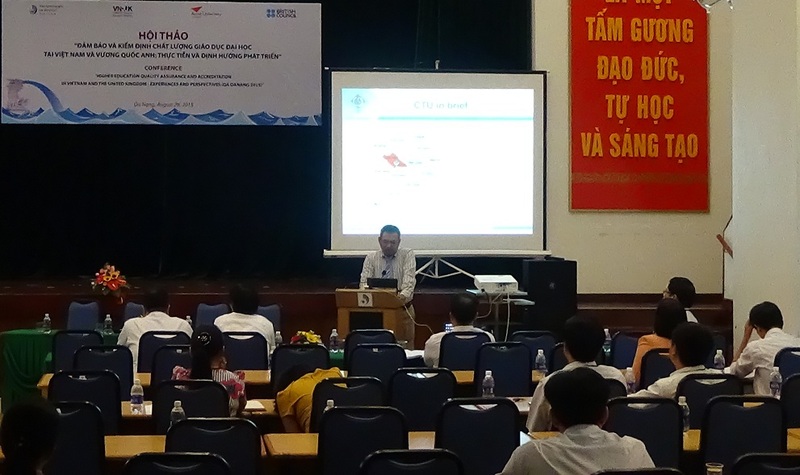 - Educational Quality Assurance in the United Kingdom: The correlation between quality assurance and quality improvement. Assoc. 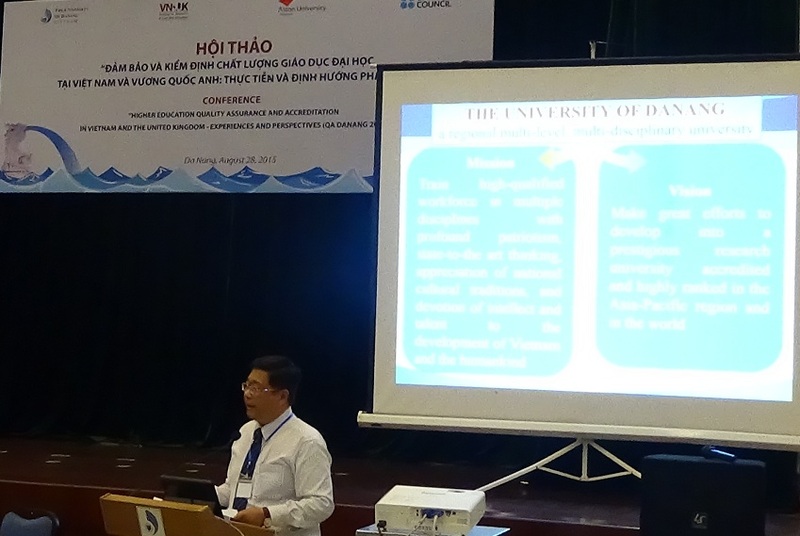 Dr. Doan Quang Vinh - Vice President of UD, Director of UD Center of Educational Accreditation, presented on Reality and experience of UD. 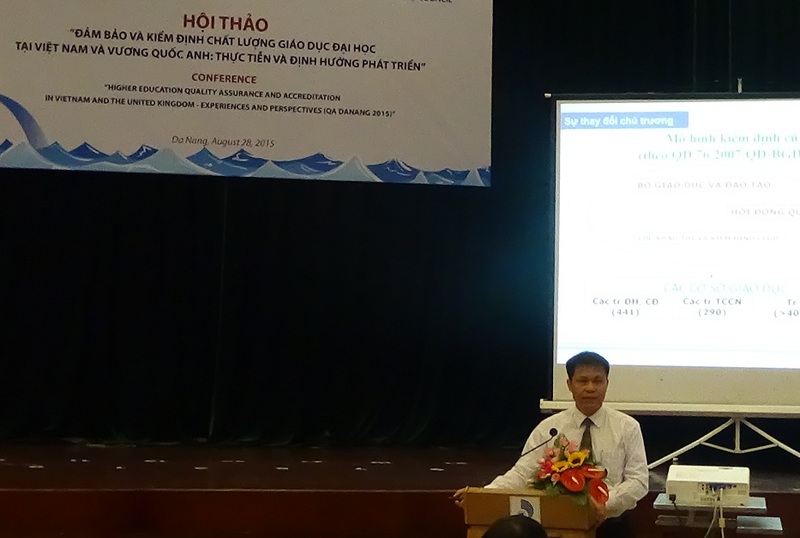 The workshop have become a forum for exchange and experience sharing for staff working in quality assurance activities in the central region of Vietnam. 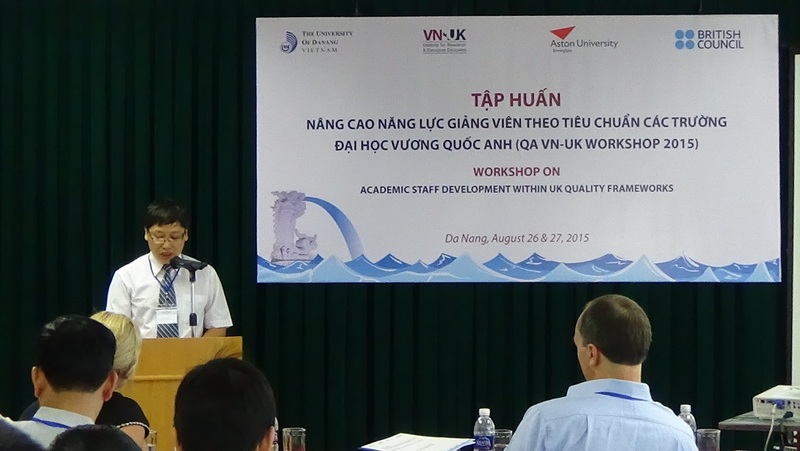 * Besides, in 2 days from 26-27 August, the training program "Academic staff development within UK quality frameworks” took place in UD. 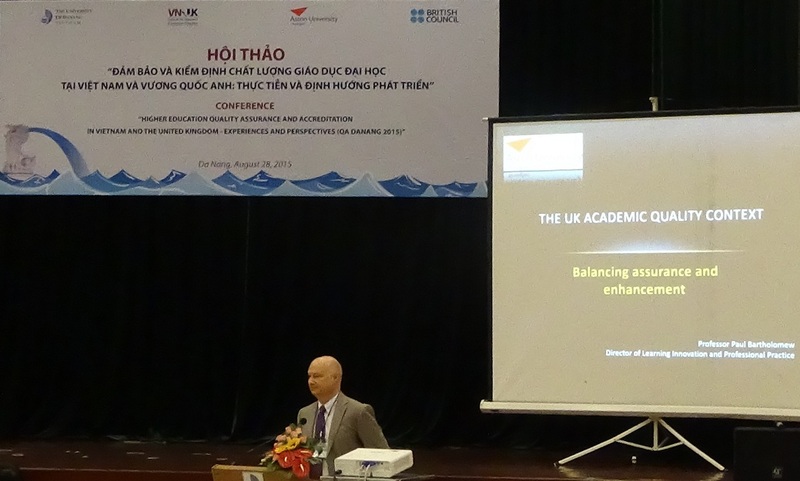 At the session, professors from Aston University introduced many important issues: learning and teaching in higher education in the UK, curriculum design, learning activities and effective assessment, etc. 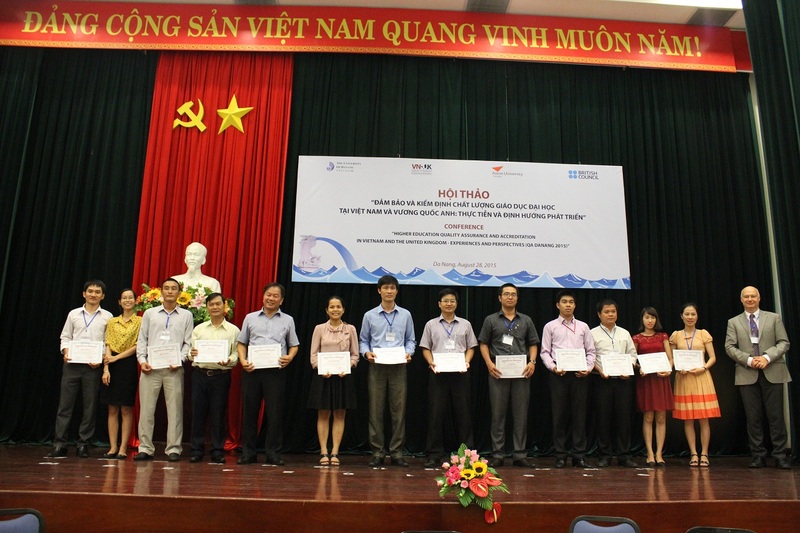 At the end of the program, the committee awarded certificates of completion of training programs for participants who works in the quality assurance sector of the University of Danang. 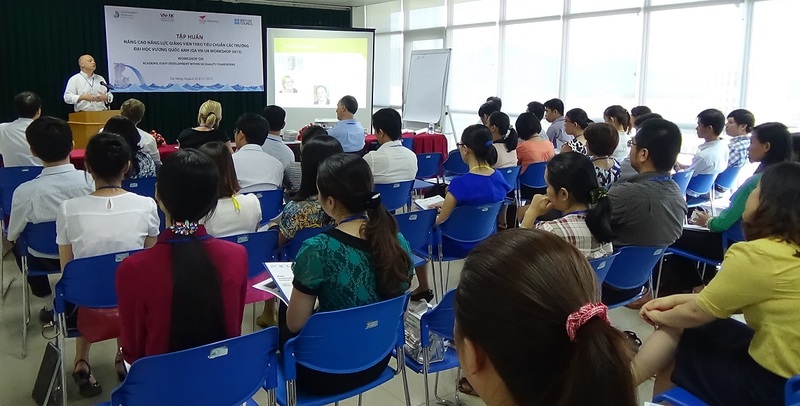 > The training program on "Building, adjustment and accreditation of training programs following to AUN-QA standards"